There is now a ramp at Beckenham Junction station where previously there was a step to get into a toilet, making it more accessible. Bromley Mobility Forum chair Barry McDonald campaigned to get the ramp installed over several months. There had also been a padlock on the door requiring people to ask staff to unlock this even if they had a RADAR key – this issue has also been resolved. 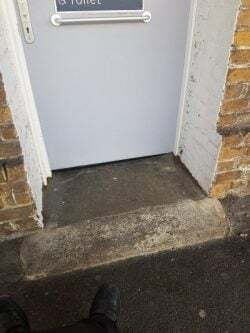 Bromley Mobility Forum also managed to get an outside handle on the door – there wasn’t one before and disabled people found it nigh on impossible to shut. 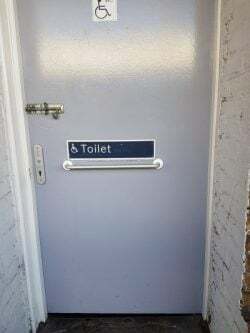 It is now easier for disabled people to close the door after use.